The streets of Haddonfield are full of hidden gems just waiting to be discovered. One of those gems — Cliff Mautner and his Haddonfield photography studio on North Haddon Avenue — will soon be showcased at “Clique: South Jersey Artists by South Jersey Photographers” opening Sept. 16 at The Riverfront Renaissance Center for the Arts in Millville. Mautner is a world renowned and recognized photographer who holds a number of national and international awards for his photography. Mautner has been a professional photographer for 34 years. He started at the Cam-Glo Newspaper taking pictures on weekends, went to the Philadelphia Inquirer where he stayed for 15 years, covering more than 6,000 assignments, and then started his own business taking wedding and portrait photography in 1998. Now known for his wedding and portrait photography, Mautner has photographed more than 850 weddings. Above all else, Mautner’s photographs are noted around the world for the artist’s use of light. He has become a top world educator, holding classes quarterly in his studio, garnering interest from international students. From a desire to have his studio in Haddonfield, Mautner bought a rundown but beautiful building on North Haddon Avenue. He put enormous effort and funds into restoring it and has been at his 516 N. Haddon Ave. address since 2006. “I love being here in Haddonfield; I love this building and my corporate neighbors, and it’s a lovely town… But no one in Haddonfield really knows or cares that I am here. I used to be offended… but I learned not to take it personally and do my thing,” Mautner said. As much as Mautner loves being known as a photographer and educator, the title Mautner is most proud of is Nikon Ambassador for the United States. As the ambassador, Mautner is a national spokesperson for the brand and gets the opportunity to photograph around the world. 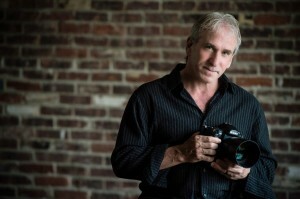 Mautner has also been named one of the Top 10 Wedding Photographers in the world by American Photo Magazine, was named International Photographer of the Year by Wedding and Portrait Photographers International, had received the International Photographic Council Leadership Award at the United Nations, and was awarded the Lifetime Achievement Award from WPPI in 2014. For the “Clique: South Jersey Artists by South Jersey Photographers” exhibition, Mautner was invited to take photographs of esteemed South Jersey artists, Soraida Martinez and playwright Joseph Paprzycki. The first exhibit of its kind in the region, “Clique” features photographs of 16 of South Jersey’s most respected and innovative artists, resulting in images focusing the lens on the rich and thriving culture of fine art in Southern New Jersey. “It was a privilege to be a part of the show; there were really talented people involved and I appreciate being a part,” Mautner said. According to Mautner, his favorite part of photography is the chase. He is always looking for ways to improve and never feels satisfied. 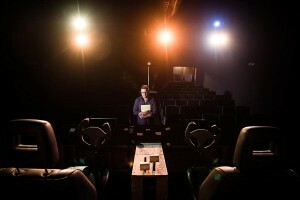 To learn more about Mautner, visit his website at www.cmphotography.com. To learn more about the upcoming exhibit, visit www.cliquesj.org/welcome/.